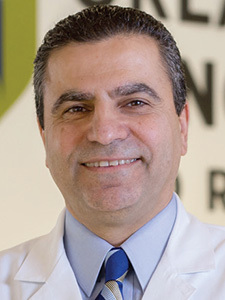 Dr. Ali H. Moussa is board certified in both internal medicine and medical oncology by the American Board of Internal Medicine and serves as an investigator for the National Cancer Institute. He completed his Fellowship in medical oncology at Baylor College of Medicine in Houston, Texas. Dr. Moussa specializes in hematology and medical oncology as well as clinical research. He has been listed as America’s Top Doctor by U.S. News Health in the field of medical oncology. Dr. Moussa is certified by MD Anderson Cancer Network®, a program of MD Anderson Cancer Center. Fellowship, Baylor College of Medicine, Houston, TX.